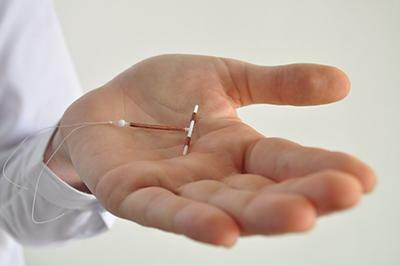 Having a hormonal intrauterine device (IUD) implanted immediately after birth does not affect a woman's ability to lactate and breastfeed, according to new research by investigators at University of Utah Health and University of New Mexico School of Medicine. The results of this study are available online August 21 in the American Journal of Obstetrics and Gynecology. "Bottom line, early placement of a hormonal IUD is a safe, long-term birth control method that doesn't negatively affect women who want to breastfeed their baby," said first author David Turok, M.D., associate professor in the Department of Obstetrics and Gynecology at U of U Health. The new research by found that women's milk did not come in later if they received a hormonal IUD immediately after giving birth compared to women who received the same type of IUD several weeks after delivery. Eight weeks after delivery, women with IUDs continued to breastfeed equally as well as women who did not have the birth control. "New mothers have to juggle the competing priorities of a new or growing family, and it is difficult to schedule postpartum appointments," said co-author Jessica Sanders, Ph.D., research assistant professor in Obstetrics and Gynecology at U of U Health. "Women are already at the hospital for the delivery and receiving the IUD at this time is more convenient." "This study shows no difference in breastfeeding outcomes [for women in either group], which is critically important in reassuring women and advocates that a hormonal IUD empowers women to avoid unintended pregnancy and to successfully breastfeed their infants," said senior author Eve Espey, M.D., chair of the Department of Obstetrics and Gynecology at the University of New Mexico School of Medicine. "We hope this study contributes to improving access to this highly safe and effective long-term contraceptive method." The article, entitled "Immediate postpartum levonorgestrel IUD insertion & breastfeeding outcomes: A noninferiority randomized controlled trial," is available online in the American Journal of Obstetrics and Gynecology. In addition to Turok, Espey and Sanders, researchers include Jennifer Eggebroten, M.D., Holly Bullock, M.D., and Lori Gawron, M.D, at U of U Health and Lawrence Leeman, M.D., Lauren Thaxton, M.D., Nicole Yonke, M.D., and Rameet Singh, M.D. at the University of New Mexico School of Medicine. This research received funding from the Society of Family Planning, as well as data collection support from the Eunice Kennedy Shriver National Institute of Child Health and Development.